This air-compressed hand sprayer with a capacity of 1000ml (1L) is comfortable, light and durable devices. Manufactured from high quality parts – Chemically resistant to most aggressive chemicals and detergents. Can be used in industry, garages, factories, car wash. 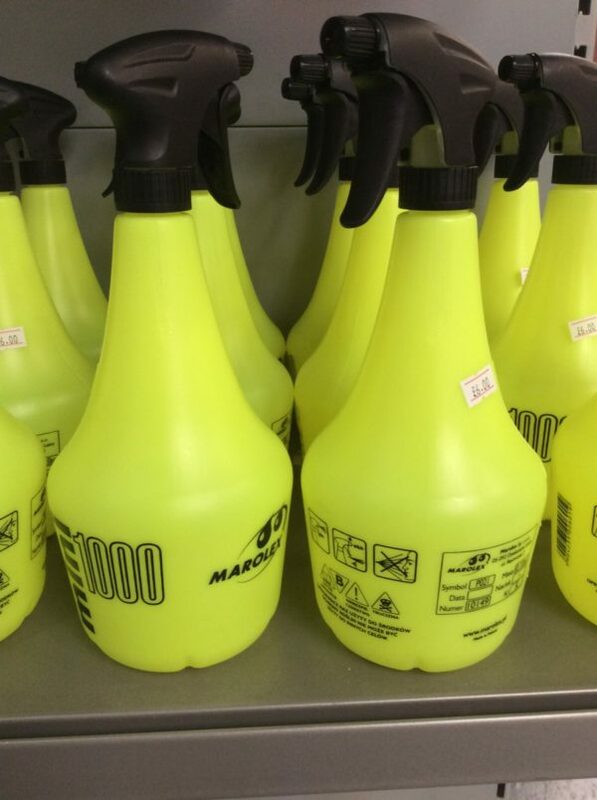 Trigger sprayer Mini1000, at capacity of 1000 ml. These are used in manual spraying and sprinkling of plants in greenhouses, gardens, on terraces and balconies. MAROLEX sprayers are fitted with technically advanced nozzles with adjustable stream angle. They are perfect devices for spraying liquid fertilizers, chemicals and for sprinkling water.